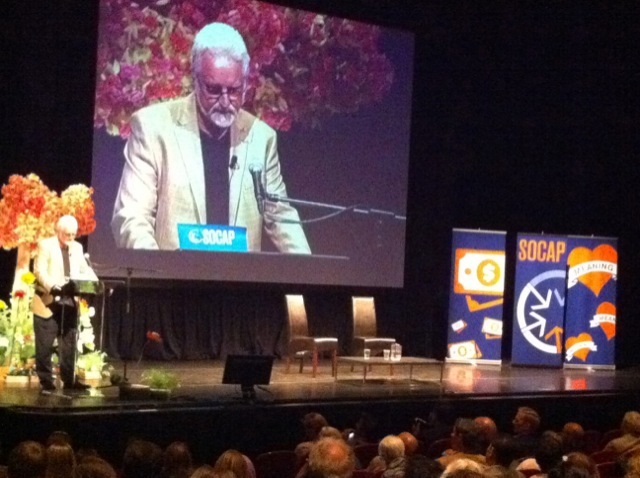 For 2,500 social entrepreneurs, impact investors, and others passionate about the intersection of money and meaning, September’s SOCAP16 was the place to be. SOCAP (Social Capital Markets) is an annual gathering in San Francisco started in 2008 by a small group of investors focused on promoting a double bottom line—social and financial. Its stated mission is to create a platform where investors willing to put money into enterprises focused foremost on social return can meet the world’s most innovative entrepreneurs. It was great, because one could not help but feel we—as an increasingly diverse set of actors promoting a very nontraditional understanding of capital—had arrived! And it was disillusioning in that it was also clear we are, as a community, still coming to grips with many fundamental questions with regard to who we are, what we believe and how best to be positioned to move forward to capture the possibilities before us. In contrast to Emerson’s perception of SOCAP15, Jenkins perceives the emergence of a more mature field, one that has enough grounding to know where it’s going instead of wondering whether and how it will gain momentum. This confidence allows thought-leaders like Emerson to go “full circle” and question whether the community has focused enough on impact, instead of appeasing groups that have entered the impact space for a lucrative financial return above all else. One of the most talked-about speakers at SOCAP16, Matthew Weatherley-White, managing director of The CapROCK Group, questioned why ESG (environmental, social and governance) investing had not become the default, despite the positive benefits these non-financial metrics have on portfolios. Weatherley-White argued that instead of asking investors to opt in to ESG criteria, investors should have to opt out if they want to broaden their investments to include companies that, for example, exploit workers and corrupt the market. Weatherley-White opined that asking investors to opt out of ESG investing would be transformational. He explained the advantage of framing the ESG option as the norm, rather than a choice investors might otherwise view with cognitive bias as extraordinarily altruistic. As an analogy, he pointed to a study of organ donation policies across different countries; countries where persons had to opt out of donating organs had donation rates of 90 percent, versus rates lower than 15 percent in countries where people have to opt in. For true impact investors, managing capital is simply the means to achieving impact and equity. The next phase in the evolution of impact investing and SOCAP will rise from a better understanding of the impact and equity that is both desired and necessary. Michele Berger is an associate attorney at NEO Law Group, Attorneys for Nonprofits in San Francisco. In this important board management online workshop, we’ll delve into the findings from BoardSource’s most recent research in Leading with Intent, which indicate that an understanding of programs is key to board excellence.